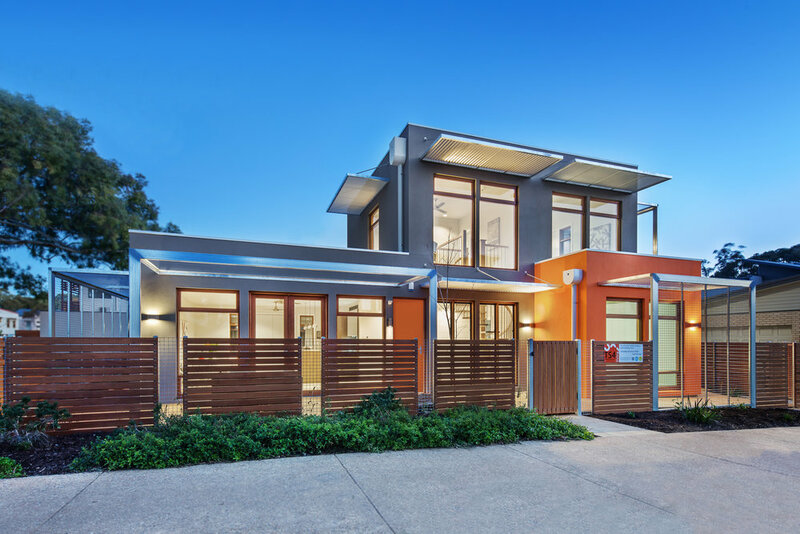 A South Australian Government initiative, the Zero Carbon House in Lochiel Park is Australia’s first designed and built Zero Carbon Home. Construction innovation, reduced wastage, carbon monitoring during construction and during the life of the home (estimated to be in excess of 75 years) were objectives to be included within the design. Affordability and adaptability were also key factors in the design which won both the People’s Award and the overall competition. An offsite construction approach was chosen over traditional methods to reduce the construction time to only 12 weeks from the first pre-constructed modular wall going up to the home’s open day. The wall construction was designed specifically for the house and was so successful that it is now TS4’s standard wall construction. Careful choice of materials helps to keep the construction carbon footprint significantly below that of a typical project home while improved insulation, careful placement of the double glazed windows and shading combine to create a highly thermally efficient home. Green walls to the East and West have been used along with vines on the Northern elevation for shading. A home’s air tightness is a key indicator to the quality of construction. 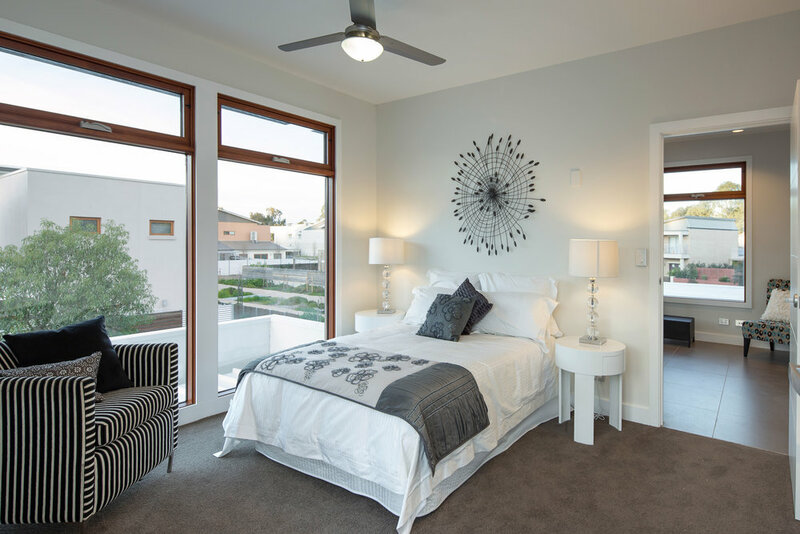 After blower door testing, the home was found to exceed the typical Australian standard of construction by three-fold. The attention to detail has made a significant contribution to reducing the ongoing energy requirements and the subsequent operational carbon footprint. Overall it has been calculated that the home will become carbon neutral by 2045. In other words, all of the carbon generated creating the materials, constructing the home and the transport and shipping during this phase and all of the operational energy required to heat and cool the home will be offset by the energy exported from the solar panel installation.